Installing NeuroDebian Packages on Cloud Server for Neuroscience has various advantages including endless resource for computing,using VNC to work from Tablet. 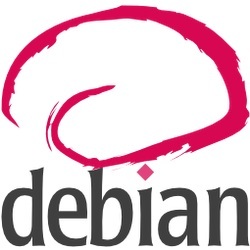 NeuroDebian is an Open Source software platform for Computational neuroscience which is created for integrating research tools and can be run on Debian operating system or its derivative OS like Ubuntu 12.04 LTS. Headache Free for maintaining the hardware, replacement cost etc. Reduction of cost by dividing the monthly cost among multiple interested person, that means – no sponsor needed. It is impossible to arrange 100 computers, attach with Network Cards and use 30 GB of RAM at home. This will make the project costing you few cents to few dollars per hours. VNC stands for Virtual Network Computing – we will show the steps for Installing NeuroDebian Packages on Cloud Server for Neuroscience on The Rackspace Cloud Server. We already have published the step by step guide to prepare a Ubuntu 12.04 Server to use as a remote desktop. This is all about Installing NeuroDebian Packages on Cloud Server for Neuroscience. You can use it from virtually any computing device with a VNC software. Android has lot of software. Windows, Linux, Mac – all supports VNC client. If you want a client software free on browser Operating System, you can follow this guide. This Article Has Been Shared 231 Times! Cite this article as: Abhishek Ghosh, "Installing NeuroDebian Packages on Cloud Server for Neuroscience," in The Customize Windows, October 4, 2012, April 23, 2019, https://thecustomizewindows.com/2012/10/installing-neurodebian-packages-on-cloud-server-for-neuroscience/.